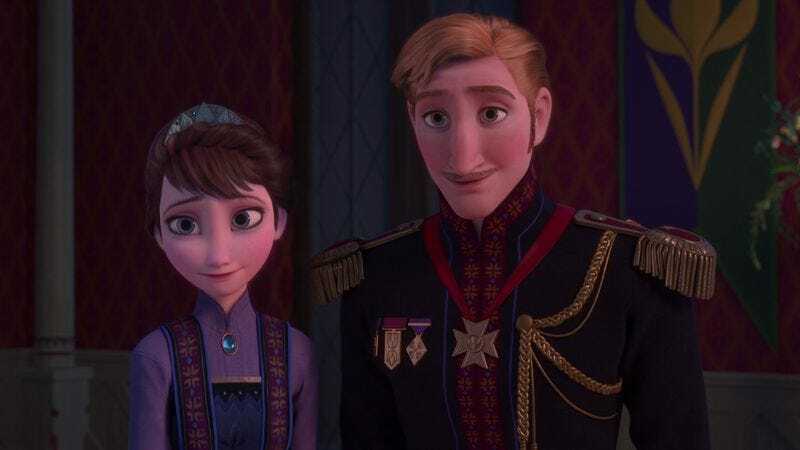 Read This: What’s up with all those dead Disney parents? The answer, it turns out, is complicated and multifaceted. It could just be a coincidence or, more accurately, a string of dozens of coincidences over the course of 80 years. Lion King producer Don Hahn says that the issue stems from Walt Disney’s unresolved guilt over his own mother’s death. So there’s that. But folklorists such as Jacob and Wilhelm Grimm are partly to blame, too, as the whole “dead parent/evil step-parent” motif is prevalent in the fairy tales that many Disney films are based on. Those age-old stories may continue to resonate with audiences for deep psychological reasons, suggest some experts. Psychoanalyst Bruno Bettelheim, author of The Uses of Enchantment: The Meaning And Importance Of Fairy Tales, has this whole theory about how dead moms and wicked step-moms “act as two halves of the same figure in our emotionally divided and complicated human relationships, representative of the opposite feelings of love and rejection.” So there’s that, too. Then again, the whole thing could be due to simple, economical storytelling. Since it’s largely about the bond between a son and his mother, Dumbo just flows more smoothly without some useless dad getting in the way.